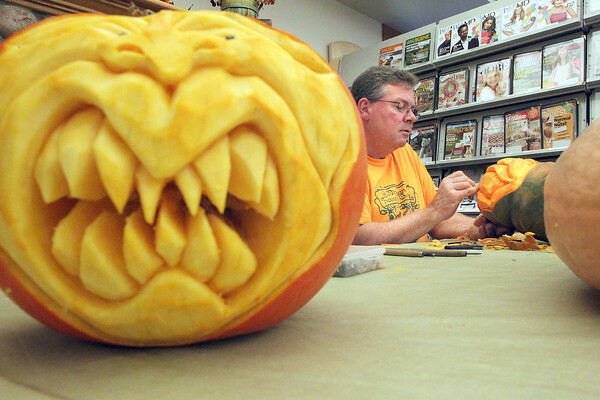 "The face is there as soon as I look at it," Pat Harrison (cq) said while giving a pumpkin carving demonstration Thursday afternoon at the Kingsley Branch of the Traverse Area District Library. The self-proclaimed "Lord of the Gourd," has been carving many varieties of fruits and vegetables for 14 years, seven as a professional. Harrison said he will do 32 demonstrations this month, but will only carve on Halloween for very special occasions. "I want to look at other people's pumpkins," he said.